As a chiropractor, Dr. Chris focuses on locating areas of your spine that aren’t moving the way that they should be. We look for signs of muscle spasm, stiff joints, inflammation and more. When these areas are located, precise adjustments are used that restore the balance to your spine. In turn, this reduces the tension on your nerves, allowing you to feel and function better. There are many benefits of chiropractic care that our patients report. Pain relief is generally the most noticeable. People who are active or participate in sports realize that when they work out or return to their game, they can perform at a higher level. Chiropractic care can restore your motion, promote circulation to the joints and slow down degenerative joint conditions such as arthritis and osteoarthritis. 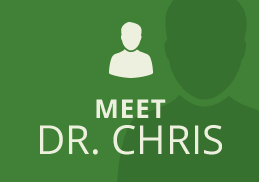 Dr. Chris will usually see you at a higher frequency during the beginning of care. As you improve, your visits will decrease. Each person’s care plan is individualized to what will work best for them. Once your issue has been resolved, you can maintain your health with period wellness care. With many years in practice, Dr. Chris is skilled in using multiple methods to perform chiropractic adjustments. Hands-on manual adjusting techniques work well to restore the motion and alignment of your spine and joints. A Thompson Drop Table keeps your adjustments easy for you with a piece that drops down for a gentle experience. Dr. Chris trained extensively in the Gonstead Technique, which many people know as a traditional form of chiropractic care. Our tables also have Flexion-Distraction, which is ideal for sprains, strains or herniated discs in the low back or neck. The PulStar® is a computerized instrument adjuster. On a graph, you can see where areas of restriction in the spine are located. It also gives recommendations as to exactly where you need an adjustment to re-establish motion. Find out more at https://www.pulstar.us/patients/.